Intent: To create an effective frigate and help flesh out the ISAF. Other standard ship things not explicitly listed. A long reach with its primary Angon hypervelocity cannons and specialized energy torpedo launchers with high damage potential. Secondary capital weapons and point defenses provide excellent coverage and all angles, particularly against small capital ships and strike craft. Nimble-5 engines have an overdrive mode that temporarily boosts speed. The Hariken cyclonic shield can temporarily enhance defenses, particularly against ramming and other physical attacks. Its HVCs are fixed bow, forcing the entire ship to rotate to face a target when aiming. Consequently, the HVCs are hard to use in at short and medium range, particularly against small and/or swift targets. An even spread of secondary capital weapons and point defenses means that they can’t be all focused at any one angle. When the overdrive mode is active, maneuverability is drastically reduced. Shield regeneration also cannot occur. The use of the cyclonic shield will also negatively impact mobility to a severe degree. There are other hindrances like an inability to use physical weapons. All weaknesses can be found in the parent sub. The overdrive mode and cyclonic shield cannot be used at the same time. As the ISAF (Intergalactic Security Allied Force) continued to expand, it discovered it had a need for multi-role frigates that could operate independently in low-intensity conflicts on a planetary level. The primary requirement for this new frigate is a vessel with decent hangar space and a large passenger capacity to conduct planetside operations as a troop carrier and fire support platform. Working with longtime contractor KSA, the Coyote was born, a flexible design that adequately fulfills the needs of the ISAF and then some. With its own starfighter complement and hyperdrive pods, even a single Coyote is sufficient to cover a large swath of space, making it ideal for scouting and deployments along minor lanes. Meanwhile, in high-intensity naval battles, Coyotes work well in small sections or flotillas performing duties like escorting, picketing and boarding assaults. The Coyote has a compact layout that follows the shape of a triangle prism, optimized to keep the number of fragile outer housings to a minimum and superstructure simple for better armor coverage. The stout prismatic form factor also allows for the easy configuration of weapon platforms for the 3D environment of space combat to provide near complete coverage. The primary bays are situated on the ventral side of the of the frigate, capable of storing a starfighter squadron and many large vehicles planetside operations. Additional catapult pressors stud the bow, starboard and port sides. These pressors are intended to launch small craft for boarding actions and orbital drops of personnel and equipment, and the deployment of specialized drones and pods for STAR and EWAR missions. As with all Kiribian vessels, the operations center and other critical spaces are nestled deep within the superstructure instead of being perched in a bridge to avoid damage. Typical of many starships, Coyotes are powered by compact antimatter reactors, but it generates antimatter on demand rather than maintaining a static store, greatly reducing the chances of reactor overload. It does so by borrowing technology from Deimos positron cannons, generating antimatter by irradiating gold wafers with high powered electrolasers. The antimatter is then mixed with fuel pellets to create a net positive reaction from the annihilation of matter and antimatter. Excess energy is stored in large banks of graphene ultracapacitor cells. For a limited time, Coyotes can run on these cells alone, eight hours in low power mode (no capital weapons or hyperdrive power), or an hour at full power. When the reactor is shut down, it has a tiny energy signature, making it difficult to detect by passive sensors. 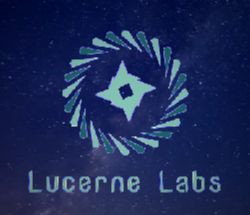 Primary propulsion comes from Nimble-5 ion engines sourced from Lucerne Labs. Featuring an overdrive mode akin to SLAM, the Coyote can greatly boost its speed at the cost of maneuverability and shield regeneration. Very useful for flanking, pursuit, and evasion. Secondary ion vernier thrusters dot the frigate all over for fine attitude control and maneuvering in space. It can use said thrusters to reverse, pitch, and roll even as it still may be carried in one direction by the momentum of its primary engines. For travel on planets and within gravity wells, its ion engines are supplemented by repulsorlifts. Performance-wise, the repulsorlifts are unremarkable, save for the ability to allow Coyotes to hover in place. Picking off the shelves Lucerne Labs again, Coyotes utilize the Zephyr hyperdrive for FTL travel, a fairly speedy class 0.8 hyperdrive equipped with HIMS. Overall, Coyotes’ sensor package is fairly standard for a military vessel, but it does also come equipped with powerful active sensors - Lidar and Quantum Radar - intended for use in environments with heavy interference. The communication package is much more robust, making use of more exotic telepathic comms that has become a mainstay on Kiribian vessels. Tactical data uplinks - Hydra - allow sensor fusion and the easy flow of data between similarly equipped ships in real time, enabling feats like one vessel being able to paint a target for others while the rest remain electronically silent as they fire. Management of these systems is highly automated, powered by a shipwide memristor-based neural network. Crews are therefore quite small for a vessel of its size, acting more as systems monitors. With the automated nature of ships, commanders can almost interface directly the neural networks for near-instant direction. However, even with such advancements, ops tables and conference rooms still exist for analysis, mission planning, and coordination. The neural network is able to generate its own holographic virtual intelligence (VI) unit to assist crew and passengers, but its operation is nowhere near as sophisticated as a true AI, making it more akin to basic protocol droid in terms of performance. Several renderings of the VI can exist at once all across the ship via holodisplays or on monitors. There are several layers of defense, beginning at the superstructure itself. It is comprised of corrosive resistant ferrocarbon, reinforced with an infusion of neutronium to disperse energy and impacts across the entire vessel. The superstructure is also compartmentalized with many armored bulkheads and embedded with various suppression systems to contain the damaging effects of fire and explosives to a localized area. For the sake of compatibility and simplicity, Coyotes are wired with electrical systems, but as a countermeasure to electrical overload by ion attacks and EMPs, there exists redundant wiring, cap drains, and energy sinks. The whole vessel is projected by an advanced laminate spaced armor called Ajax, made of a similar composition of the as the superstructure to be resistant to both energy and physical attack, including mass driver weapons that have come into vogue in this age of chaos. Finally, the armor and external emplacements have been coated with a layer of ablative gel to avoid permanent damage. The first line of attack against boarders is always the crewman. As a troop carrier, Coyotes boast a large number of defenders to repel attackers from well trained Marine Rangers and drones. Throughout the frigate, there’s an even distribution of security stations and concealed storage racks droids and biots to ensure a rapid response to threats. All hangars and major corridors are protected by lethal and non-lethal emplacements and can be sealed off by turadium blast doors reinforced by magnetic seals. Power can be cut off to terminals, individual sections or even entire decks as a delay. Notable is the absence of maintenance corridors (“Jefferies tubes”), and narrow piping is used in place of wide ventilation shafts to prevent infiltration. Externally, the hull is studded with storage pods containing small teams of drones that can immediately respond to hull breaches and other activity in EVA. 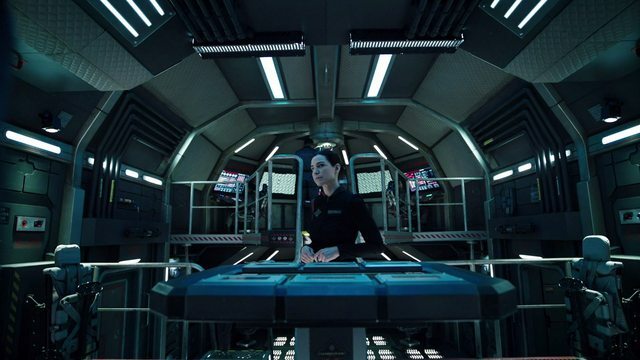 Instead of one shield generator being used, there are several smaller nods spread across the length of the ship to create overlapping fields for a shutter effect. In this configuration, particle shields don’t have to be brought down in full to use physical weapons, but momentary breaches can be created in sync with firing. Just like Mon Calamari designs, the shield generators a buried within the superstructure of the ship to prevent an easy attack. Aside from the shutter effect, the overall shield strength is average in performance for a ship of its size and output. Like with other shields, power can be redirected in specific areas to enhance field strength. Each Coyote is also equipped with a secondary cyclonic shield which temporarily boosts defense against physical attacks and some forms of directed energy attacks at the cost of greatly reduced mobility. Coyotes feature the Loki EWAR system which enables the frigate to engage in basic ECM, ECCM, and EWS to combat enemy EWAR and detect its source. Additionally, it carries a payload of decoy drones that it can use to help with spoofing. To protect its networks, Coyotes use heavy military grade pyrowalls based on honey encryption. After each failed attempt to crack the encryption, deceptive junk data is continuously generated to throw off successive attacks. Air gaps exist between low priority networks and more critical ones to prevent infection. Local machines are constantly scanned by Rapid Repetition Defense Measure (RRDM) programs to uncover intrusions and other anomalies for quarantine and deeper analysis. Ports and terminals are protected from physical intrusion by socketguards and biometric measures. 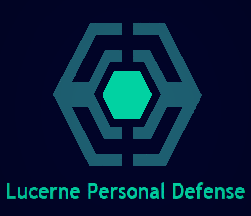 In the instance of a successful intrusion, an echo pulse can be activated to disrupt the intruder and possibly damage their slicing equipment. Local security measures are backed up by Mithril, a powerful cloud-based security platform that allows users to react to cyber attacks in real time thanks to powerful neural nets that use deep machine learning to evolve with rising threats. Using digital fingerprints and sophisticated anaylsis, Mithril can pick out unusual behavior, like an individual attempting to access sensitive information on a common terminal. System backups are maintained for machines in the event they need to be refreshed in safety mode when all other measures have failed. The principle weaponry a Coyote is a trio of bow-mounted Angon hypervelocity cannons, giving the Frigates considerable punch even against larger classes of capital ships like Star Destroyers. It’s all part of a doctrinal shift within the ISAF and Silver Spacy, utilizing extreme emplacements on smaller capital ships over starfighters for the delivery of munitions at range in large battles. A slug, shell, or missile launched from a mass driver, particularly an HVC, will always be faster than the most nimble starfighter (outside of precision jumps), thereby penetrating defensive envelopes much more easily and reliably with minimal casualties. The Angons themselves are only a stop-gap solution to employing this tactic, purpose-built mass drivers already in development as a future upgrade. Tenjin torpedo launchers complement the Angons with a similar reach at full charge, meant to pick off strike craft and escorts. 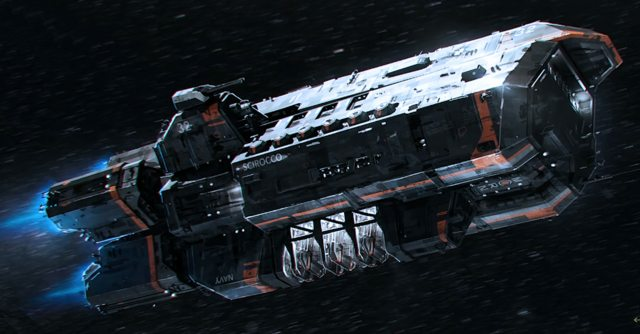 Secondary batteries like its Deimos and Rhygomyniads allow Coyotes to effectively engage targets at medium and short range as well, but these exist mostly for brawling against smaller and/or quick capital ships or for area denial against strike craft and projectiles. Like all Kiribian ships, Coyotes boast a robust point defense grid made up of dozens of fast-tracking emplacements and active protection modules. Creating walls of interlocking fire all around itself, a Coyote is difficult to approach by strike craft and can put down all but the most withering spam attacks. Edited by Ala Crescent, 08 October 2018 - 06:45 PM.